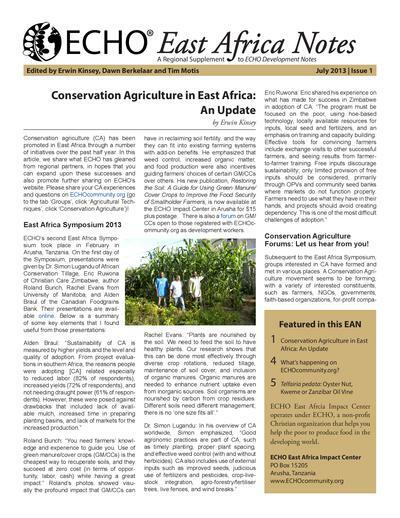 ECHO East Africa Notes is a technical e-bulletin containing articles of interest to agriculture and community development workers in East Africa. “Value chain” has recently emerged as a popular business and development concept. The growing integration of the global economy has provided the opportunity for substantial economic and income growth. 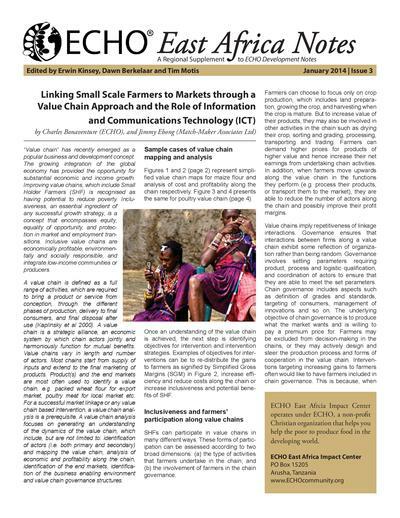 Improving value chains, which include Small Holder Farmers (SHF) is recognised as having potential to reduce poverty. Inclusiveness, an essential ingredient of any successful growth strategy, is a concept that encompasses equity, equality of opportunity, and protection in market and employment transitions. 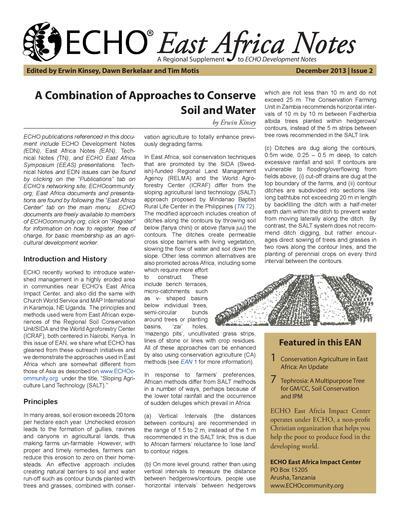 Inclusive value chains are economically profitable, environmentally and socially responsible, and integrate low-income communities or producers.